After my long and arduous journey on the road of Medicine, I passed my Diplomate Exam in Internal Medicine last March 2015. I thought it might be good to give back and share some tips to those currently taking on this very rocky road to becoming a certified internist. First, approach the bull head on. That is the very first thing to do. Work on your mindset. Failure must not be an option. This is a fundamental step because this will fuel you up and motivate you to review for the exam - a task which is actually easier said than done. We have to admit that as we age, no matter how nerdy/studious/diligent we are, or no matter how nerdy/studious/diligent we believe ourselves to be, it just takes more and more effort to study compared when we were younger. I know that hurts but most of us are a few years shy of 30 when we take the diplomate exam, right? I say "most" because a modest percent are past the age of 30 already upon taking the exam. For one, let's admit it, your or our energy starts to dwindle. It may be harder to burn the midnight candle this time. All those 24-hour duties tantamount to sleep deprivation, poor food intake and nutrition, indescribable stress (and I mean stress in all aspects whether emotional, physical, or psychological aspect) must have taken their toll on your body. Just make sure to make it up by taking your vitamins, eating nutritious meals, and most importantly getting more than enough sleep to make up for sleep debt. Second, you are beset by a lot of distractions more than ever. By now, at least 50% if not a majority of examinees have a growing family which means attending to the kids - and okey, to the spouse - may be an additional chore to the already tall order to review for the boards. I even know of a fellow internist who was so pregnant and a few months away before her EDC when she was reviewing for the exam. But anyway, for those with kids already, the presence of the kids itself already poses a challenge because they are cuddle and hug magnets personified. They can easily lure you to set aside your Harrison's for a few minutes, then a few hours. You can't help it. Subconsciously, there might be the desire to make up for lost time too. Definitely I am not going to tell you to stop all interactions with your loved ones. After all, your family is your source of strength, inspiration, love, and happiness. Just budget your time wisely. Sit down for review when the kids are sleeping or when the kids are in school, or when the spouse is at work. For parental duties like sending and fetching them to school, helping them with their homework, and attending PTA meetings, I am sure you that you can count on your other half to help you in that department. I am sure the other half would be willing to help for the sake of world peace. If all else fails, last ditch option would be to lock yourself up in one of the rooms in your house so that you can be all by yourself, of course with your best friend, Harrison's Principles of Internal Medicine. I know of a mom who did that. She was a nurse in the United States and had to take another exam there, but the common ground here is that she has the same type of distractions. The problem there was that the kids still kept knocking at the door calling out to mom. Thank God that mom friend of mine still passed her exam in the midst of all that. Second last ditch option would be to get out of your house. Flee from the source and abode of the distractions. Stay in a friend's house who is also reviewing for the boards, or stay in a hotel or an affordable hostel or pension house, if you have enough funds for that, or go to a study center, or simply study in the school library. The coffee shop may be another option for study venue, if you may. For me, to be present in an environment where you see everyone else studying, is a motivation itself. Interestingly I know of a colleague who stayed in a friend's house to do self-review for the boards. No one except the caretaker was manning the house and so she had all to herself a perfectly conducive place for study. Another distraction would be your livelihood itself. You may be fresh out of residency and you might not have a steady source of cash flow and so you have to go on duty to fill the mouth/s you feed. I personally experienced this. Of course, I know that you know the solution to that - good ol' time management. Allot a certain number of days to go on duty and make a living, and dedicate the rest of the week to your review. If you cannot take time off from your work, you might want to employ the strategy of some examinees. They worked their butts full for three months or four months until their cash buckets overflow with enough cushion that would support them after the months of hard work. After that three or four months they undertake a duty sabbatical. For those who have taken the exam before and did not make it, don't dwell on past failures. Learn from them instead. Make past failures as your launching board to success by holding on to the lessons you have gathered from that sad experience of failing the exam. You may already have hind sight wisdom by this time which points you have missed to work on like, allotting only a small amount of time to review some subjects, or the lack of time itself, and not sitting down at all to review. Work to correct on those points but don't forget also to further strengthen your weaknesses. It must be clear deep inside yourself, the purpose of why you are taking the exam. 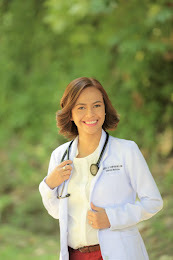 Like our physician licensure exam after graduating from medical school and completing post-graduate internship, the diplomate exam is the next go-to after slavery, uhhmm, residency in Internal Medicine. 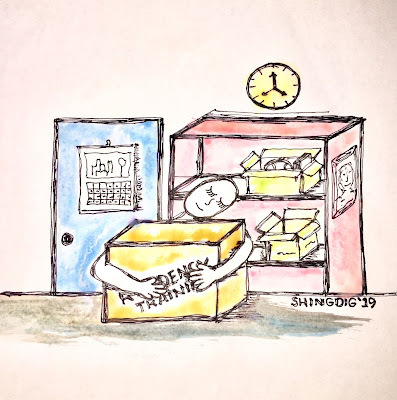 Of course you can practice as an internist without taking or passing the boards,but wouldn't it be nice to be recognized by the society of internists? Wouldn't it be nice to be finally certified? During our oath taking last May at the Newport Performing Arts Theater at the Resorts World Manila, it was mentioned during the ceremony that being a diplomate is a symbol of scholarship in this chosen specialty. Now that the boards are due barely four months from now, people you know will surely ask you, "Are you taking the boards next year?" Answer with a resounding "Yes!" and just deep inside you, (so as not to appear over confident and assuming), whisper and follow that with "- and I am going to nail it." That is the correct and ideal mindset. The mindset of a winner. Everything then follows.